Lecce, Via Francigena, Acaya, Otranto, Lago Azzurro, Gallipoli, Santa Maria al Bagno, and more! 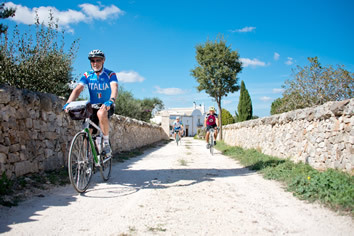 Join Italy Gay Travels on an amazing Gay Bike Tour in the southernmost tip of Puglia, known as Salento. 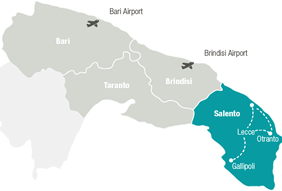 Fast becoming the gay destination of South Italy, this area is rich in culture, food, awe inspiring landscapes, white sandy beaches and some gay nightlife for good measure! 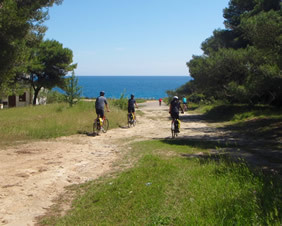 Our tour is set at an easy level that will suit most cyclists. 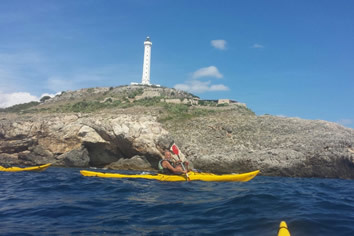 This gay bike tour is not only about cycling: see yourself kayaking in the protected wild park of Porto Selvaggio, test your cooking skills in a local farmstead learning regional traditional recipes and savor the tastes and flavors of the region’s stunning wines and aperitifs. 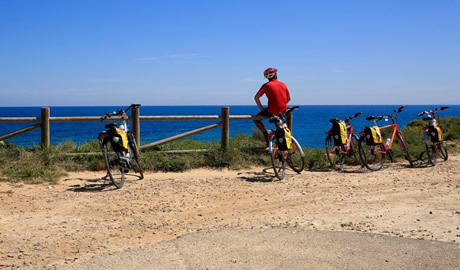 This all gay bike tour allows you also to meet with like-minded gay men and to enjoy some free time to do what you like the most. You will have the opportunity to discover Lecce, a great Baroque capital of Southern Italy and also to explore Gallipoli, an old fishing port that is now the main gay hotspot of Puglia. 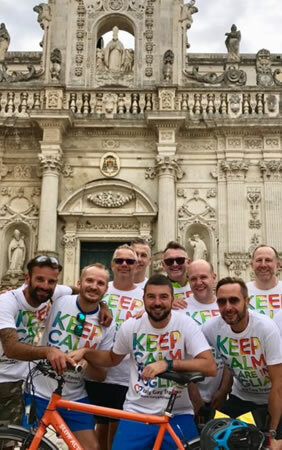 Once in Lecce, make your way to your accommodation in the very centre of Lecce and settle in: you will be given your Gay Bike Tour welcome pack. 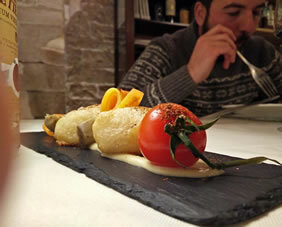 In the evening join your fellow bikers and your tour hosts, Sergio and Kendall, for an optional aperitif on top of Lecce. We will all get to meet each other and have a full briefing on the adventure that lies ahead. We check in to our hotel, Due Passi del Pizzo Hotel, in the afternoon. We have the rest of the evening free to explore Gallipoli or relax at the swimming pool of the hotel or at the very nearby beach. En suite rooms in 3 star Hotels and B&B. 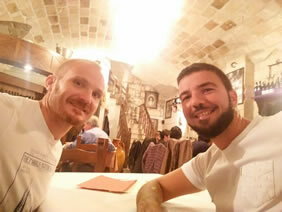 Typical dinner in Lecce (Day 4) and Pizza and beer in Gallipoli New Town (Day 7) included.